We've been spoilt this year by a whole host of wearable tech promising to help us cycle faster, put more laps in the pool or run that extra mile. From virtual coaching to taking heart rate training to that next level, there's never been a better time to get an edge on the competition. 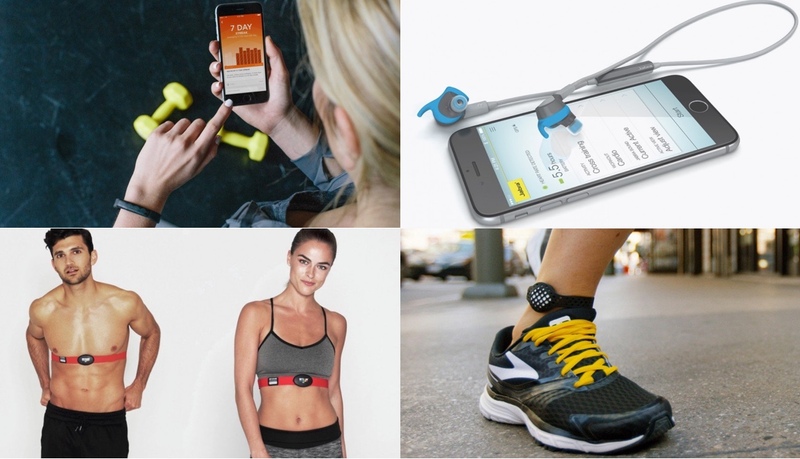 Some have left a bigger impression on us than others, so that's why we've picked out our top sports gadgets that have helped keep us burning calories and to stay fit throughout the year. If there's one fitness gadget that's really stood out this year, it's the Moov Now. I reviewed the original last year and the updated version this back in October and it's still one of the most unique wearables we've ever tested. The beauty of Moov Now is what it represents. More than just a tracker that spews back figures on what you've done, it's an active part of your workouts. It's the only sports wearable that takes responsibility for your training, and can be the catalyst for positive change. In short, it's the only device that gets you fit – and that's a real achievement. I'm not a massive HRM chest strap fan. I'm just not that serious of a runner (yet) to be all that concerned about by bpm. Wrist-based measurements did the job for me. Until I tested the MyZone MZ-3 that is. By making quite a dry subject matter interesting, MyZone has a big chance to take accurate heart rate tracking mainstream. It does this with a simple premise – you exercise with the chest strap and earn points based on your bpm. Rather than simply scoring highly based on a big heart rate reading, though, the MyZone platform studies your effort over time and handicaps your levels depending on your stats. These zones evolve over time, in line with your performance and, in theory, means you can take on an elite athlete in a points-scoring league table. Throw in a decent social platform and MyZone is onto a winner. I'm going to mix things up here and pick software instead of Jawbone's hardware, especially after those strap issues with the first version of the UP2 and UP3. Jawbone's app remains its greatest asset and here's why. First of all, it's backwards compatible (kind of, there are actually two apps) so even Jawbone UP24 users can benefit from its useful bits of health and fitness trivia along with the great smart coaching features. Most importantly, it remains one of the few platforms that will take your data and turn it into meaningful advice. Telling you to go to sleep an hour later or showing you how you can get a workout while you're sitting at your desk are the kind of small but worthwhile changes everyone can make. It doesn't ignore the fact that there's more to getting fit than going for a run and that's why I've continued to wear my Jawbone throughout the year. I also had a lot of fun taking people on in Duels, which I would recommend Jawbones users all have a go at. It's addictive. I'm going for the Jabra Sport Coach workout tracking earbuds, not because they're perfect, but because I'm a fan of looking beyond the wrist for sports gadgets and other wearables. You get wireless music, guided workouts and decent run tracking but next year, we want to see more than an accelerometer - I got on very well with Jabra's heart rate monitoring Sport Pulse in my couch to 10K training and Jabra's CEO says that the company is indeed looking to move more biometrics tracking from the wrist to the ear. The coach you can wear on your wrist (or your ankle) had to be our pick. It's the standout sports tech by some distance and we can't wait to see how the Moov team plans to keep us powering through workout sessions in 2016.